In ERA21 #05/2018, dedicated to the 100th anniversary of Czechoslovakia, we published an interview with the „anniversary old man“, Karel Kroupa. While reading it, hadn’t you wondered... who is this admirable, partiotic man? Where did he come from? How is it possible that you’ve never heard about him? The explanation is simple. Karel Kroupa doesn’t exist. 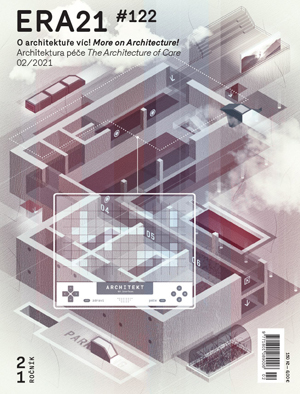 The interview is a literary work, where the author, Rostislav Koryčánek, deliberately used key events of the past century, events related to history of architecture as well as that of the nation as a whole. We have created Karel Kroupa with the intention that he could, in the fashion of Jára Cimrman or Forrest Gump, become a part of the course of events and thus also a guide through the history of Czechoslovak architecture. He would embody the ideal of the national hero who we could admire for his beliefs. Because – let’s face it – right now there’s no surplus of national heroes. Dear readers, we sincerely hope you can forgive us for making this little „joke“. Our intentions were good. 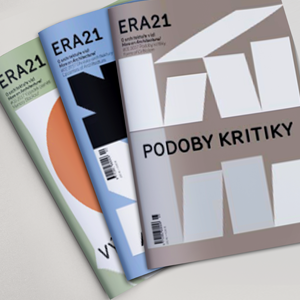 The anniversary issue of ERA21 was very special to us and we let ourselves be especially creative. And, if you’re wondering who the man in the picture is, stay tuned until the next issue, out at the beginning of December. V roce 2014 se společnost Fatra rozhodla proměnit v realitu zásadní a vizionářskou myšlenku: zpracovávat plastové odpady, které během výroby sama vyprodukuje. Společnost tím sledovala dva cíle – snížit ekologickou zátěž produkce na straně jedné a zároveň zvýšit ekonomickou efektivitu výroby při využívání vlastních produkovaných regranulátů. Myšlenka zpracovávat vlastní odpad ale postupně nabyla větších rozměrů. Aby Fatra přispěla více k redukci ekologické stopy, rozhodla se vykupovat druhotný materiál, který lze zpracovat do formy regranulátu, a následně jej prodávat či použít pro vlastní výrobu. Architect Matúš Vallo is well-known for his own studio but also because he initiated several projects dealing with public urban space; the most prominent being Urban Interventions. Two and a half years ago he assembled a team of professionals from various fields concerned with city management. Together the team wrote the book, Plan Bratislava. The analyses and proposals included in this book were used as a basis for Matúš Vallo’s current campaign to become the mayor of Bratislava. Žádná budova si nezaslouží, aby na ni jen sedal prach. Co takhle zapadnout do okolního prostředí, ale být přitom nepřehlédnutelný? Vnímejte vzhled stavby jako důležitou součást celkové image společnosti a zaměřte se na její prezentaci. S fasádními systémy Ruukki není nic jednoduššího.